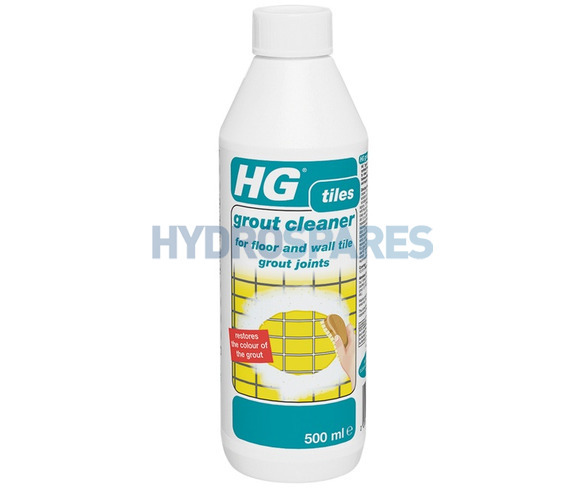 HG Grout Cleaner deep cleans and de-greases grout joints, restores the colour of the grout. Yellow or brown dirt that is left behind after cleaning is lime scale . This can be removed with HG professional limescale remover (hagesan blue). Use HG mould spray for black deposits on grout. Dilute HG grout cleaner with luke warm water. Then apply Grout cleaner with a scrubbing brush or a hand brush. Allow a few minutes for the product to work , scrub well and rinse off with water. One litre is enough for a surface area of 10 to 15 m².